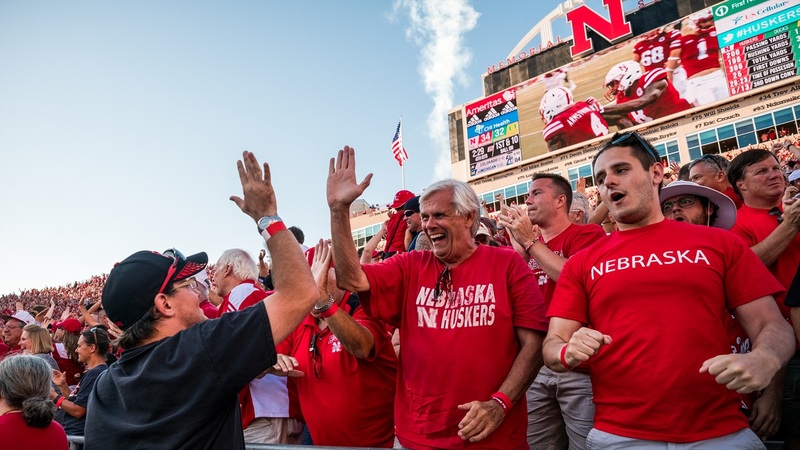 The Huskers’ 2019 recruiting class just got a lot faster. Late Friday night, Nebraska picked up its 11th commitment of the 2019 recruiting class when 3-star wide receiver (HV rating: 88) Jamie Nance‍ from Blanchard, Oklahoma, announced he was joining the class via Twitter. The speedy playmaker from the Sooner State was a recent visitor to Lincoln just last week when he and his family made the trip ahead of the second Friday Night Lights camp. We have quickly learned that this staff likes track athletes. This past year as a junior, Nance ran a 10.66 in the 100 meters in track. He also added 35 catches for 673 yards with six touchdowns on the gridiron. Nance is the second commitment in the 2019 class from the state of Oklahoma, joining 3-star running back Thomas Grayson. He selected Nebraska over Baylor, Mississippi State, Missouri, Notre Dame, Ole Miss and TCU, all of which he named in his top seven earlier this week. Nance becomes the first wide receiver to join the 2019 recruiting class. He also becomes the sixth 2019 recruit to commit to Nebraska in June, finishing off a very good month on the trail for the Huskers.